Casual use to germ killing strength at discount prices! "The #1 Pollution Problem in America is Indoor Air Pollution"
Purifies Up to 3,500 sq. ft.
Reduces: odors, bacteria, mildew, mold & more! Just like Mother Nature, Our Nature's Air Cleaners generates negative ions, cleans the air of dust, mold, and other pollutants. Significantly reduces dust, pollen, molds, cat & dog dander, odors, and more from inside the home or office for fresher, cleaner air. 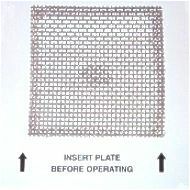 air - up to 3500 sq. feet. Significantly reduces dust, airborne particles, and odors from pets, cooking and tobacco...Get rid of strong odors from unoccupied spaces in a short period of time. Ion and Ozone generation in one unit. Get rid of particulates and chemical odors forever. Read how air purifiers with UV lamps can help prevent the flu, colds and more. "The best type of residential filtration systems is the larger, yet portable, devices designed to remove pollutants in a specific size room. Due to their larger and more effective filters or collecting plates, these larger portable air purifiers are considerably more effective in removing pollutants in a room than the table top units (Consumer Reports, 1992; Fox, 1994) and have become increasingly popular in the past several years"
For clean, fresh, healthy air... choose from one of the many choices of Air Purifiers and Cleaners! Facts on Second Hand Smoke. Secondhand smoke has been classified as a Group A carcinogen by the U.S. Environmental Protection Agency (EPA), a rating used only for substances proven to cause cancer in humans. A study conducted in 1992 by the EPA concluded that each year approximately 3,000 lung cancer deaths in nonsmoking adults are attributable to ETS. Exposure to secondhand smoke also causes eye, nose, and throat irritation. It may affect the cardiovascular system and some studies have linked exposure to secondhand smoke with the onset of chest pain. ETS is an even greater health threat to people who already have heart and lung illnesses. 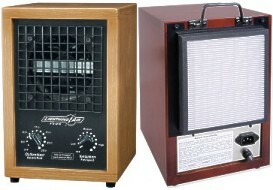 See our complete line of air purifiers to help with second hand smoke. Infants and young children whose parents smoke in their presence are at increased risk of lower respiratory tract infections (pneumonia and bronchitis) and are more likely to have symptoms of respiratory irritation like coughing, wheezing, and excess phlegm. In children under 18 months of age, passive smoking causes between 150,000 and 300,000 lower respiratory tract infections, resulting in 7,500 to 15,000 hospitalizations each year, according to EPA estimates. These children may also have a buildup of fluid in the middle ear, which can lead to ear infections. Slightly reduced lung function may occur in older children who have been exposed to secondhand smoke. Children with asthma are especially at risk from ETS. The EPA estimates that exposure to ETS increases the number of asthma episodes and the severity of symptoms in 200,000 to 1 million children annually. Secondhand smoke may also cause thousands of non-asthmatic children to develop the disease each year.